FeFe (@SupaDupaFeFe) is a fast rising singer-songwriter with a seductive voice and equally flattering wordplay. 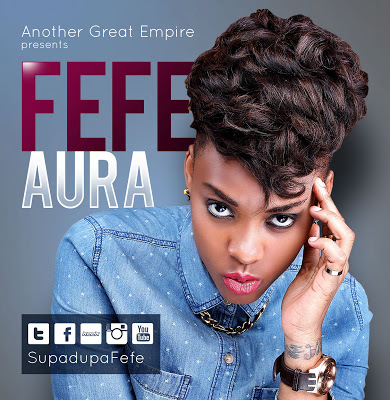 Since relocating to Lagos, FeFe has continued to push the boundaries of her music, creating the smash single, “AURA”. Partnering with the extraordinary, DJ Klem, “AURA” meshes old school and new school sounds to create a new groove jam. “AURA” is written by FeFe and produced by DJ Klem.